ACME Locksmith Tempe. There are NO $14-$39 Tempe Locksmiths. ASU Students & Faculty Receive 10% Off Labor & Service Call! Beware Locksmith Fraud – There are NO $14-$19 Locksmiths. IT’S A SCAM. ACME Locksmith is owned and operated by a ASU graduate. 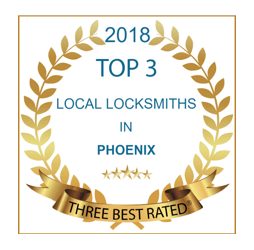 ACME is the only Tempe Locksmith Service to win the BBB Ethics Award and was a finalist for the 2010 Greater Phoenix Chamber of Commerce Impact Award. We were the first Arizona and Mesa Lock and Security company to offer a 100% Money-Back Guarantee and 1-year workmanship warranty for EVERY customer. Where we lead, others follow. Visit our “About ACME Locksmith” link for details about our guarantee and recognition. Big Mike was fast and efficient. He paid particular attention to detail while installing new hardware. I will definately recommend this company to others. We needed a copy of a car key. They were very helpful and had me out the door with a new working/programmed key in 15 minutes. I would recommend this company and I will use them in the future. Eric stayed past 5 (their closing time) to program another key for my new Civic. Great service at a fair price, 1/3 rd the cost the dealer wanted!!!!!! Will do business here again. Very efficient and courteous. Dallin arrived on time and completed the job professionally and in an expedited manner. I would recommend using ACME Locksmith to anyone ... for business or personal. Big Mike was prompt, friendly, and so quick! He was able to change the locks in our office and give us extra keys under 30 minutes. Highly recommend going to them! Michael arrived early was friendly and courteous. He finished the job in a timely manner and made sure the work was done to my satisfaction before leaving. They were very prompt. I was able to see, in real time, where the tech was en route. He was very professional. I had an awesome experience. Had trouble with a gun safe lock. Easy to schedule an appt., friendly office staff and I was kept up to date on arrival time. Big Mike (he said it was OK to call him that) diagnosed the problem, fixed it quickly and professionally. Great job again as we had used them before. Wonderful service. they were very helpful and very friendly. I would highly recommend them to anyone. I had to get new fobs for my car and they were able to program it for me. This is the second time I have used Acme to get auto security keys cut and programmed. Both times have been hassle free and in and out in about 15 minutes at less than half the cost of dealers. 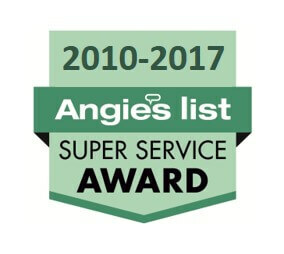 Only needed these guys once when we bought our new house, but their excellent service during that stressful time stuck out. The tech was very professional and did everything like it was his own house. Changed out all the locks with speed and care like a pro. Ryan did a great job! He took care of everything in timely manner and even noticed a few issues that were addressed. Awesome job!! New key cylinder was quickly installed and and keyed. Had us back to new condition real fast. Thanks for the expertise in the door adjustment as well! I highly recommend ACME Locksmith!! Ryan with ACME was a savior. Saturday afternoon pouring rain. Rain tripped the breaker to the garage door. No keys, all doors locked. He was at my door in 15 minutes on his way to another job. Ryan absolutely went above and beyond to make a stop to help me out instead of telling me to call someone else. Nothing but a positive experience with this company. They answered the phone my first call, they notified me when they were on their way and their prices were extremely fair. Big Mike came on this particular service call and he was simply awesome. He explained all the possible available options for my situation so that I could make an educated decision.....he was very professional and determined to resolve my lock issues.They are definitely a company I recommend and wouldn' be hesitant to call upon again. I called several self-advertised "locksmiths" before calling Acme. Most businesses that advertise as a locksmith simply do lockouts for cars. I came to Acme because I needed the real deal. I have a truck box that I needed keys to be able to secure my tools, but I did not have a key to duplicate. My particular box has a more complex locking mechanism and further complicated the task. I brought my truck box to Acme and they HAND-FILED me 2 perfectly working keys! I was impressed, and that does not happen often. Not only were they extremely expert in there field, they also were very focused on customer service. My keys were both done within 30 minutes. While I waited I went and got Yoko Fast Food and watched their infomercials in the store and actually learned a lot. I will be telling everyone I know about Acme and will be calling them for all of my future needs. 9/9/2016Just had them make a copy of a truck key that wasn't working on the passenger door. The copy works on ALL doors plus ignition!!! So I promptly made a copy of the copy and threw out the original. Thank you locksmith gurus!!! I needed two keys cut for my Honda Civic and received great service from ACME Locksmith. The price was very fair considering many other locksmiths I called quoted prices more than double what I paid. Also, they have a physical location which is rare these days in the industry. I would highly recommend using ACME Locksmith for all my locksmith needs. I accidentally broke my desk key and needed it replaced. I searched local stores and came up empty handed. Apparently I had a special kind of key that was difficult to replicate. I thought I would try ACME Locksmith as a last resort. Thank God that Violet at ACME is a rockstar and made me that hard to find key!!! She was so incredibly helpful and kind!! Don't go anywhere else but here!! They have a TON of keys and cool safes!!!! Great experience!!! Same day service. Technician was knowledgeable, polite and a resolved my RV key issue quickly. The ACME trucks are well equipped for a variety of locksmith needs.ACME technology was good about texting when technician was on their way with a map link to see how close they were to arriving. This was helpful and appreciated. Great Service. David with Acme came out same day and fixed my door. They are very trustworthy. Did not gouge me on trip service or labor. Did not do more than was required to repair my door. I appreciate their honesty, efficiency and responsiveness. They were very professional and we will use them for all our locksmith needs going forward. Thanks again for a great job. We needed extra keys for our daughter's car and only having one coded key meant and extra programming charge. Acme was much, much closer than the nearest dealer. A locksmith is someone the average person rarely needs. Eric was very friendly and listened to my preference. In the end, it was an excellent value. A dealership would have only netted two keys (one having to be programmed with the computer and the other from other two keys) for a about the same price. Eric even programmed the extra key and fobs to make sure they worked. Something the dealership would not have done. I would not hesitate to recommend this business. Friendly knowledge people and the job done right the first time. The office administrator, Violet, is great! Very personable and knowledgeable about their trade. The Locksmith was efficient and worked quickly yet thoroughly to get all of the locks changed in my new home. Professional and reasonable. Extremely prompt and efficient. Had door latch that stuck. Dave was able to reposition lock and lubricate it to get it working again. Also informed me of possible problems in the future and how to deal with them. Very thorough. Glad I called them. Big Mike was very nice and good at what he does. He' was very quick at trouble shooting and completing the work I needed done and he saved me s lot of money along the way. I highly recommend his services. I went to the Mesa location with a deadbolt that wasn't working. The technician tested the bolt and key locks and found a replacement bolt so I didn't have to buy a whole new system. He made 2 news key that worked in the old locks. It was less expensive than buying the kits sold at hardware stores. The whole visit took only 15 minutes! Fantastic experience with this company! A friendly person answered the phone and scheduled an appointment the next day. David, the technician, was very courteous and professional. He worked efficiently to clean up the mess I had made of my lock by trying to fix it myself. From now on I will call this company for any locksmith needs I have and will highly recommend them to everyone. Great service at a very fair price! I would highly recommend ACME Locksmith. 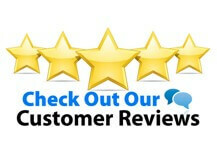 Our Technician Ryan was very professional, honest and hard working. I felt very comfortable and safe having this gentleman and the company putting in our new locks. Thank you, ACME. Thank you, Ryan! We locked ourselves out of our house a couple of weeks ago. Robert with ACME Locksmith was at our house within 15 minutes. It was late afternoon on a Friday. Robert got us in no time. He was very efficient and very knowledgeable and friendly. After not being able to get through one lock (only because he didn’t want to damage it), he had to bust into our garage entry door lock. He was able to pop it apart with barely a scratch (it was a new lock). I was amazed that he got it open so quickly. He warned us that it might ruin the lock, but it worked perfectly. I would definitely use ACME again. Called to setup the appointment to have all locks in a new home re-keyed. The manager/dispatcher was super helpful and made it easy to decide what services were needed. Ryan, the technician, showed up an hour later and was also very professional and nice to work with. Ryan is a perfectionist in his work and wouldn’t let anything go half done. He reset my garage door openers so no other opener except the ones I have would work and realigned two doors that weren’t locking easily. Highly recommend! Excellent job! Ryan did great work. I feel secure now that my locks are rekeyed. He was able to get all my doors on the same key. I will definitely use Acme again and will request Ryan. We had an excellent experience with Acme Locksmith. It started out with a great interaction with their receptionist/schedule coordinator, she was professional, efficient and very polite. They were able to quickly get us on their schedule to fix a lock for us. I inquired about some other lock types and the tech gave me expert feedback and advice. He also gave us tips to ensure we didn't encounter the same problem with the lock on our door at home. I'm confident he saved us money in the long run. I found this company to be well priced. It was all in all a great interaction, I highly recommend this company. I will keep them in my contact list and only use them again for future lock issues. I have been calling around regarding duplicate keys for my vehicle pricey things. I called ACME locksmith in mesa and its like a Angel answered when Violette picked! Took all my stress away she was extremely helpful and knowledgeable on this type of situation. I didn't feel rushed or made feel like a inconvenience. I hope this associate stays for a while cause i will be referring everyone there. Violette thanks again for all your help you were amazing!!!!! I called for info. and a gentleman arrived approx. 1/2 hour later. He spent a great deal of time, answered all my questions, was professional; yet very friendly and easy to talk to. He was very honest about the security needs in our home, and I appreciated his kindness. Thank you ACME Locksmith!! I've always been careful where I leave my keys, unfortunately with age I've found that the thing I do best now is losing stuff. Sadly my keys are not immune to my senility or forgetfulness. I've recently gone about trying to temper this problem by making copies of my keys, but the big box stores have your most commonly used keys/locks which is fine for most of my keys but I had about four high quality locks that apparently don't move enough product to justify keeping in stock. I was referred here by an ACE hardware employee. To my surprise this store has just about every key possible (and more) the keys I needed had to practically be made by hand from some of their stock one at a time. The extra cost? none, granted the cost per key was a tad bit more than the limited ones the big box stores carry, however the cost for over a dozen keys made (all by hand and sizing) were still a fraction of the cost of one new lock. In my case, I did have to bring the locks with me so each key could be confirmed it worked, but only took 20 minutes and that was mostly the employee waiting for me to stop fooling around with all the interesting locks they have at the store for demonstration. I strongly encourage those of you to try this location out. I did not have them come to my location to do a "lock out" or unlock something for me, but I'm certain their service would be just as stellar if they did. I see there is one low rated review in regards to a programming a key for a car. I am not certain what specifically the dealer told that gentleman, but I can assure you in my case I opted to have acme do it - the dealership wanted to charge 799.99 + labor for extra keys and programming, ACME - 235 + tax for the same amount of work. I'll be having ACME take care of my lock needs from now on, I can see why they have and A+ rating with the BBB.